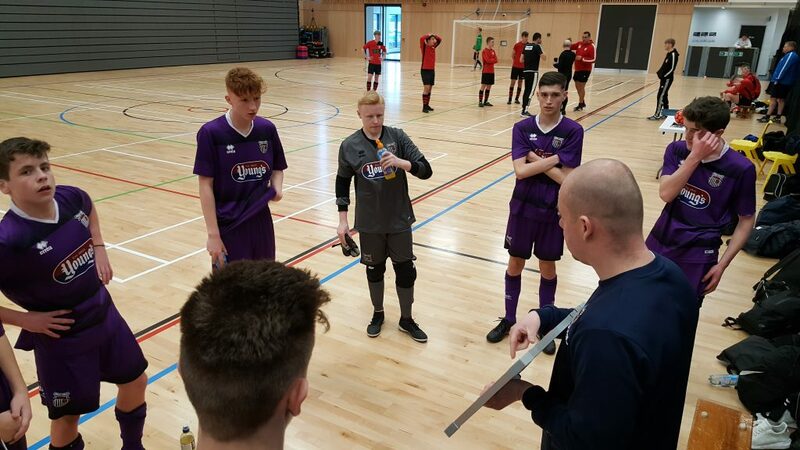 Grimsby Town Futsal added another stepping stone to their Futsal pathway this week with their newly formed U16 side taking part in the FA Youth Futsal Cup qualifiers. The team travelled to Hull to play in the North East qualifying rounds, they competed in a group of 4 with a place in the National semi-finals in Birmingham the prize waiting for top spot. 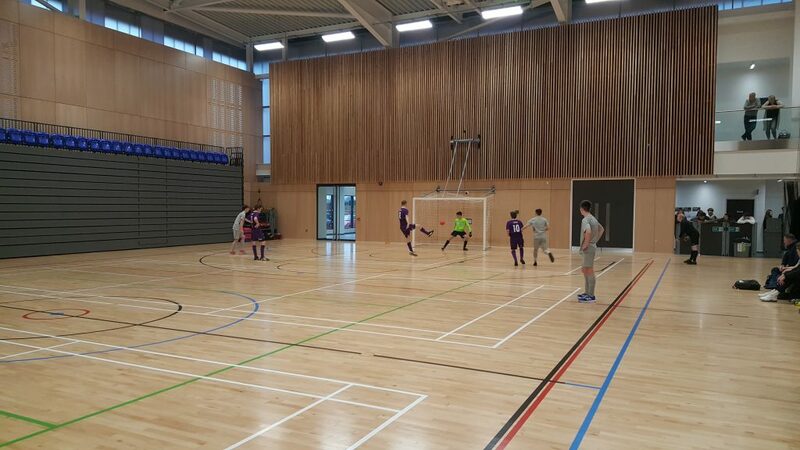 In the young Mariners group were Hull Futsal Club, Alltofts Futsal and Jarrow Futsal. Grimsby took maximum point from their first game and didn’t do their goal difference any harm by thrashing Alltofts 11-6. 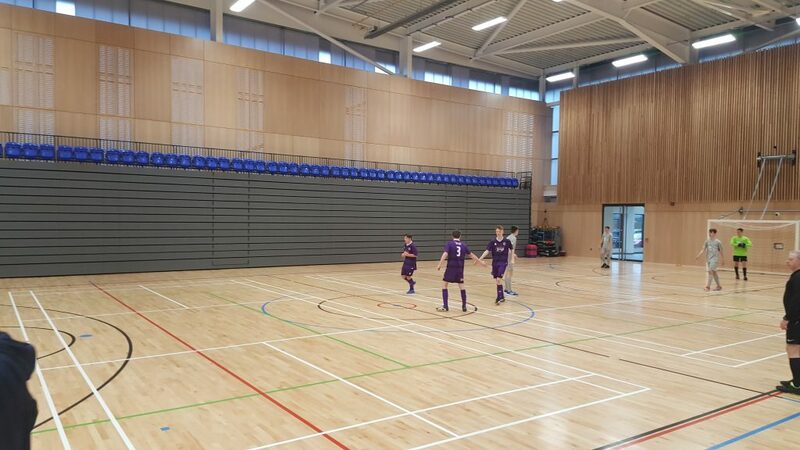 In their second game Town had to be more patient as Hull Futsal adopted a half court press limiting space in their defensive areas. Grimsby went into pole position in the group however with a well-earned 4-2 win. This meant they only needed a point from their final to qualify for the semi-finals against Jarrow who had taken 4 points from their opening games. Remarkably, despite winning their first 2 games, if Town had have lost they would have been eliminated. Grimsby raced into a 2-0 lead however Jarrow levelled the game up before the break to make it 2-2. Despite the pressure Grimsby thrived in the second half and eventually won the game comfortable 5-3 to book their place at Birmingham next month. 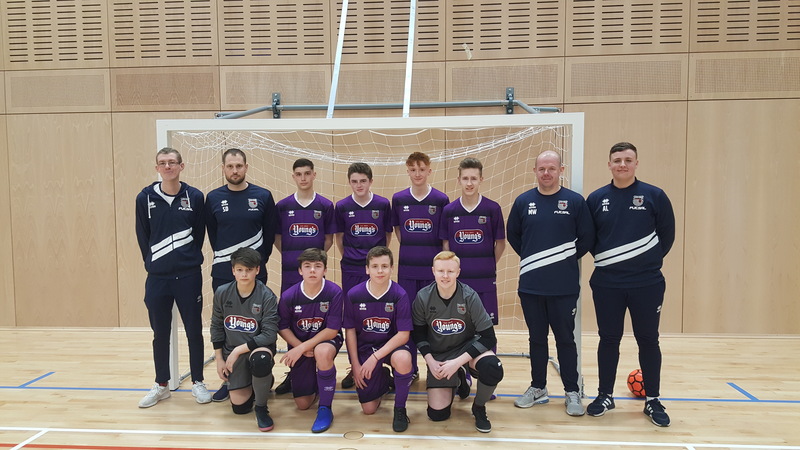 Coach Mark Westerby was obviously really pleased with the outcome: “The lads have been playing in our futsal league for their own teams and we have watched them for the last 3-4 months, this is the first time however that they have played together in the same team competitively. A lot of credit must go to the players for this, we scored some really impressive goals against some good futsal teams”. The under 16s team will now travel to Birmingham on the 13th of April. If they are successful their they will play in the National Finals at St Georges Park in early May.